With the success of the US show Shark Tank, we now have more people aspiring to sell products on HSN like you do. What is your advice for people who aspire to this dream? Innovation is key; you need to know everything about your product in and out. It must be a profitable business; a great product will only take you half way. I recommend putting your product out there and test the market you need to be able to generate sales. I always feel bad when I see lists of people called “the most successful Latina businesswomen” or “most successful Latinas in Hollywood.” People should be viewed as the most successful against everybody, getting treated equally. Otherwise, in my opinion, people will always think “Latina women” means “women far too different from us of non-Hispanic descent.” Have you ever felt like you were treated differently in becoming successful in the USA because you are from Venezuela or a woman in business, and how did you ever prove anyone wrong at work? In my career as a chef, you’re treated different for being a women because it’s a male dominated industry. The only way to prove everyone wrong is to know your craft. You need to know what you’re talking about to become a master in your field. I have faced challenges because of my accent. Being Latina we have to recognize that an accent does make us different and that’s OK; we have a different language, points of view, our daily passion is a different approach like any other culture out there. I take it as a positive and not a negative, once you own it, you’re golden!! In contrast, how is being a Latin American celebrity chef such a big part of your brand that if you took it away, you would be an entirely different person? 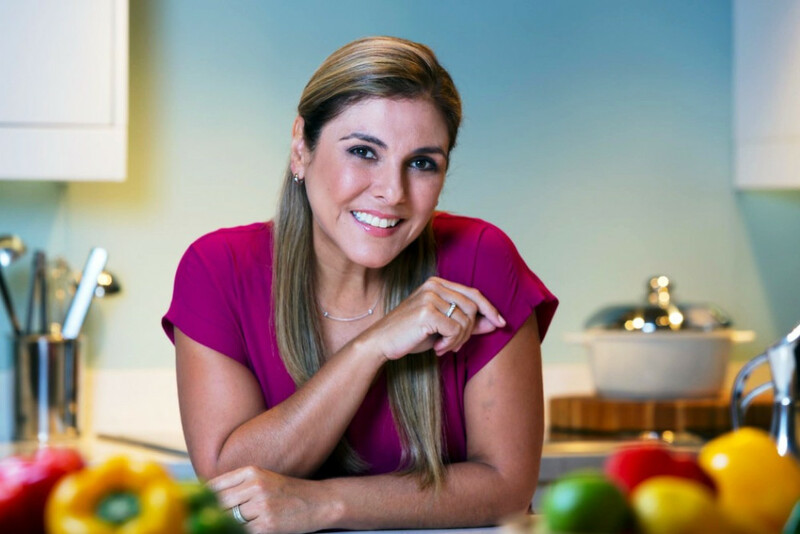 Being a Latin American chef is part of who I am, In order to have a successful brand you need to stay connected to who you are. The key is staying true to whom you are; if you took that away, it would be a different brand. Any moment you’ve done Spanish language cooking shows here in the USA, for places like Telemundo, how do you try to make the programs entertaining for people of every age and background? Some people are young, others are old women; some viewers are actually from other countries, others are American teenagers who happen to speak Spanish. If you are authentic, people are drawn to you no matter what, because there is always something relatable when you show your true self. In my case, what you see on camera is what you get in real life. When you develop food at your restaurants and airport cafes, which you express is as healthy as can be, what do you do so it still tastes good but is also good for you? I’m conscious about health, but I’m not a diet chef, so I am aware of the healthier processes of cooking, the ingredients I’m using and trying to bring the best possible menu for the travelers. What is a very traditional and good Venezuela dish that will please everybody? Is it sold at all of your restaurants? In Venezuela, we have a staple chicken salad “Reina Pepiada:” a combination of chicken, avocado and cilantro; it translates very well across many cultures. I do serve it as my restaurants. How do you always strive to be a strong role model for young Hispanic women? I strive to continue to learn and grow everyday. I make it a point to mentor young people and give them best advice I can give from my own experiences.